San Antonio Eye Center is excited to announce the addition of our new Comprehensive Ophthalmologist, Dr. Jake Trinidad M.D. Dr. Trinidad is a true San Antonian. He was born and raised in San Antonio and is a graduate of Clark High School. 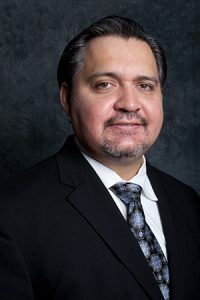 After receiving his undergraduate degree from The University of the Incarnate Word, Dr. Trinidad received his medical school and ophthalmology training at Indiana University. After training in Indiana for 8 years, Dr. Trinidad is excited to be home and providing medical care in his hometown. Dr. Trinidad is active in his professional community by being a member of the American Academy of Ophthalmology, San Antonio Society of Ophthalmologist, and Texas Medical Association. He remains active in clinical research and has played a role as a sub-investigator in several clinical trials. Dr. Trinidad has been married for 8 years to his beautiful wife and has two incredible children, Evie (6mos) and Luke (4 yo). In his downtime Dr. Trinidad likes to spend time with his family and root for his San Antonio Spurs.